INVESTMENT CASTINGS THAT HELP THE AEROSPACE & MEDICAL WORLDS MOVE FASTER. CoCrMo, AND OTHER HIGH PERFORMANCE MATERIALS. American Casting Company delivers premier quality investment castings with the industry’s shortest lead times. Located in Hollister, CA, we work with a variety of super alloys and other high performance materials at our investment casting foundry. Our unique lean manufacturing systems are certified to both ISO 9001 and AS9100, allowing us to serve medical, aerospace, and other critical industry applications. 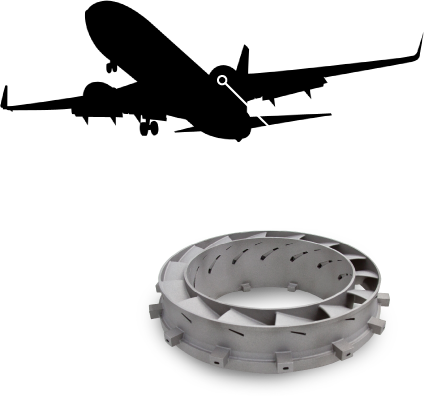 We utilize the latest in 3D printing technologies and vacuum melting for rapid development of products in superalloys and other high performance materials for the aerospace and medical industries. Investment casting (also known as lost wax casting) is an advanced manufacturing process used to make precision metal parts from a wide range of standard and super alloy materials. 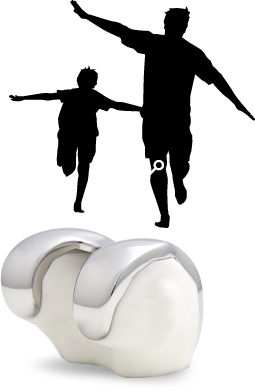 The end products are not only dimensionally accurate, but are durable, strong and adhere to some of the highest quality standards that exist today. This is especially true in the aerospace and medical industries where investment castings are utilized extensively as an economical way to produce parts with complex geometry from difficult to process materials. The manufacturing process is accomplished by first building wax molds that contain consumable part patterns on them. Each part pattern matches the geometry of the desired finished part with “gates” added which creates an inlet for metal to flow into the cavity later in the process. The molds are then coated with ceramic and stucco until a shell thickness of approx. 3/8” is achieved. Next, the wax is melted out of the ceramic cavity and re-filled with molten metal. The casting process is completed by knocking the ceramic off the mold, cutting the now metal parts free, grinding off the gates and applying a final sand blast finish (see Investment Castings tab for complete overview). 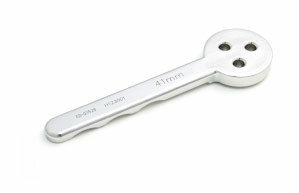 The key to producing investment castings with good dimensional accuracy is to start with high quality patterns and select the correct scale factor. This is accomplished by either making injection tooling or 3D printing the part patterns directly from 3D CAD data and selecting the scale factor based on par alloy. At American Casting foundry we are experts at all of these things, and our experienced foundry engineers can help you make the correct decisions for what will be best for your application. At American Casting Company we understand that high quality, low cost and short lead times are very important to our customers. To ensure we can provide these elements, we employ a lean manufacturing approach to each operation required throughout the casting process in our foundry. Doing so eliminates waste, lowers cost and increases quality. We incorporate multiple steps into single manufacturing processes and cross train technicians. 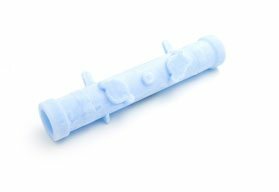 For example: wax injection, mold building and first dipping are all done by the same operator which speeds up the process and minimizes hand offs. The same manufacturing methodology is used company wide for all areas of the business which saves time and money for our customers. We have a team of experts with vast experience in manufacturing investment castings parts that comply with the highest and most stringent industry standards. Besides this, we focus on speed and are known for producing parts in the industries shortest lead times. We also focus on customer service and communication which ensures you will receive unmatched service. 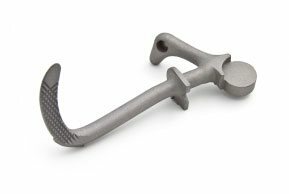 So, if you are looking for a quality investment casting manufacturer then look no further because we have you covered. 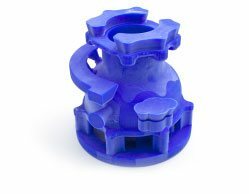 Please contact us today for your next investment casting project.